Deduction under section 80D is another option for the taxpayers to claim from his total income. The taxpayer is eligible is to take benefit under section 80d deduction of the income tax act. Section 80D talks about health insurance premium and checkup expenditure, if you have incurred expenses towards medical insurance or medical checkup, then you can avail the benefit u/s 80D. Under this section 80D, not only the individual but spouse along with children and parents (Senior citizen) or (super Senior citizen) expenditure on medical insurance and health checkup would be avail. How taxpayer takes benefit under section 80d deduction. Must read: Why to Pay interest u/s 234A, 234B & 234C under Income tax act? If you look carefully to income tax return form, there are several segments available to take benefit against your expenditure towards health insurance for (yourself, spouse, children, parents) and health checkup for (yourself, spouse, children, parents). The above table is the options through the taxpayer select the category and enter the amount, the system forwards the eligible amount and that would the amount exempted from your income. There are seven different types of deductions that you can claim under section 80D. Self (super senior citizen) and family. Self (super senior citizen) & family (super senior citizen)including parents (super senior citizen). Preventive health checkup u/s 80D, you can claim expenses incurred up to Rs. 5,000 for each financial year. There are three categories available to claim for the medical checkup. In all three option, the taxpayer can avail the benefit of ₹ 5,000, which is the maximum total deduction allowed for a preventive health check-up. Finance ministry declared in budget 2018 to hike the exemption under section 80d for senior citizen up to ₹ 50000 which was effected from 1st April 2019, the assessment year 2019-2020. Now that you know everything about tax exemptions under Section 80D of the Income Tax Act. Don’t forget to get the benefits of the section. From FY 2018-19 (AY 2019-20), The premium paid against health insurance, deduction shall be available only for the current financial year even if such premium is paid in advance. 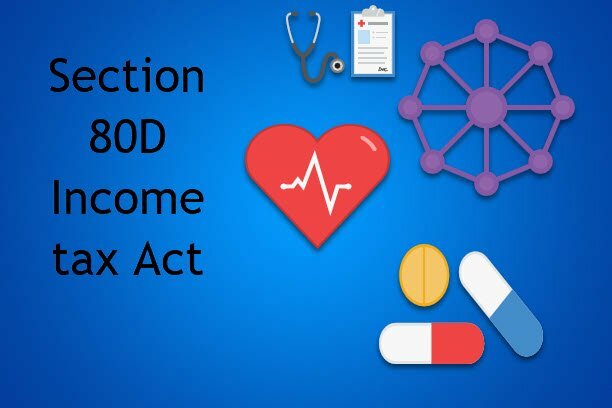 Health Insurance companies allow the customer to pay the premium for more than 1 year, under section 80D(4a), the deduction is allowed only for the premium considered for the current financial year. For Example:- Mr. Shakhar paid ₹ 40,000 towards health insurance of his family on 01-04-2018. This premium covers his family’s health for the next 4 years. Considering ₹ 10,000 (premium per annum), the deduction allowed for Mr. Shakhar u/s 80d is only ₹ 10,000. Question: Can I claim tax deductions on my parents medical premium under section 80d? Answer: Yes, under section 80D (A), you can claim parents medical premium up to a certain level. Question: What would be the maximum tax exemption limit u/s 80d? Answer: The combined tax exemption limit under 80d is ₹ 15000 If health checkup of ₹ 5000 is already utilized then the balance of ₹ 10000 will be claimed u/s 80d, even if the premium paid is more then ₹ 10000.